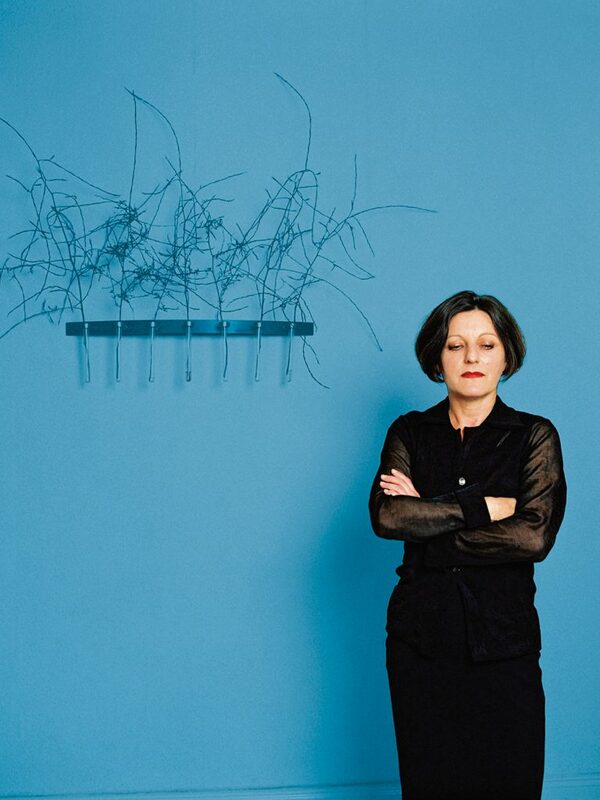 An exhibition about writer Herta Müller. Produced by German cultural institution Literaturhaus München, this exhibition presents the 2009 Nobel Laureate in Literature, Herta Müller. Like Müller’s works, the exhibition portrays everyday life for Romania’s German-speaking minority under the former communist regime. A large number of documents, images and film clips from Müller’s life and the literary circles she moved in are included in the exhibition. A number of original manuscripts for her books and examples of the poetry she created using letters and images cut from newspapers and magazines will also be displayed. Documents taken from the file kept on Herta Müller by the Romanian secret police, Securitate, run like a thread through the exhibition. Herta Müller was born in 1953 in Niţchidorf–a German-speaking village in the Romanian Banat–as the only daughter of Katharina and Josef Müller. She attended elementary school in her hometown, and later high school in Timişoara. From 1972 to 1976, Müller studied German and Romanian philology at Timişoara University. After graduating, she worked as a translator for an engineering factory for some years, but was eventually dismissed for her refusal to cooperate with Securitate, the Romanian secret service. Subsequently, she was only able to find temporary jobs as a kindergarten and school teacher, given that, while holding these positions, she continually made known her opposition to the politicized curricula and pedagogic principles used. In 1982, after a delay of two-and-a-half years and considerable modification by state censors, Müller’s first book of narratives Niederungen (Nadirs) was published by Kriterion in Bucharest. (Kriterion published books in German and Hungarian, the largest national minority languages in Romania.) In 1984 Nadirs was published by Berlin-based Rotbuch, and in the same year was awarded the Aspekte Literature Prize for the best German-language debut of the year. As a result, Herta Müller was invited to the award ceremony and also to hold lectures in Germany. Because Müller always returned to Romania after providing explicit testimony about the conditions there during these trips, reprisals against her and her then husband, writer Richard Wagner, increased, and eventually led to her emigration in March 1987. Since then, Müller has primarily resided in Berlin as a freelance writer. She has published numerous books, accepted guest professorships, and received a great number of literary awards. In 2009, Herta Müller was awarded the Nobel Prize in Literature.